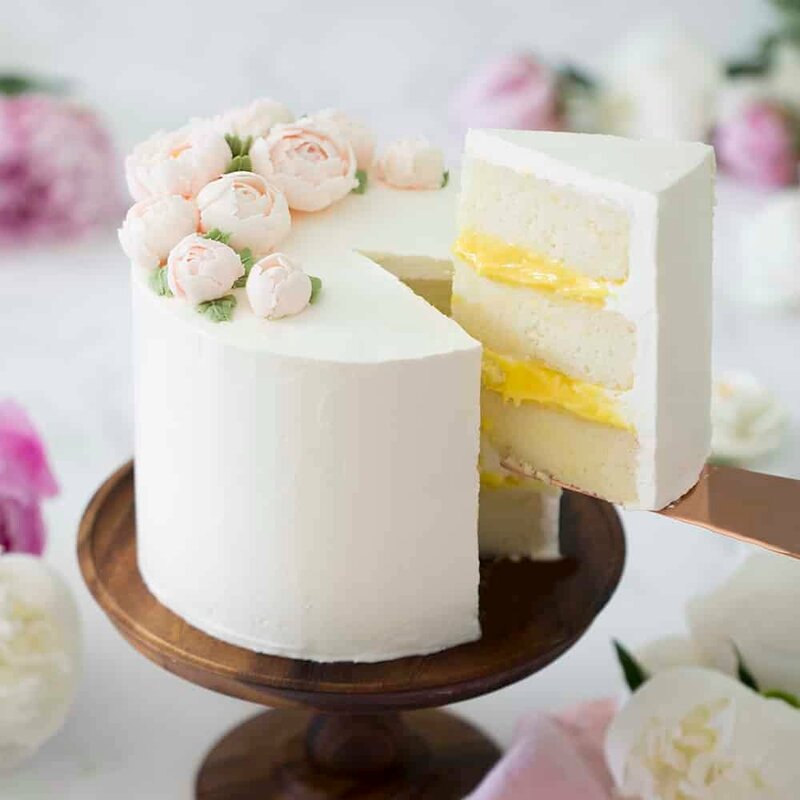 Making a beautiful cake shouldn’t be frustrating, unfortunately I know that it often is, especially when a new technique or special request from a friend takes us out of our comfort zone! 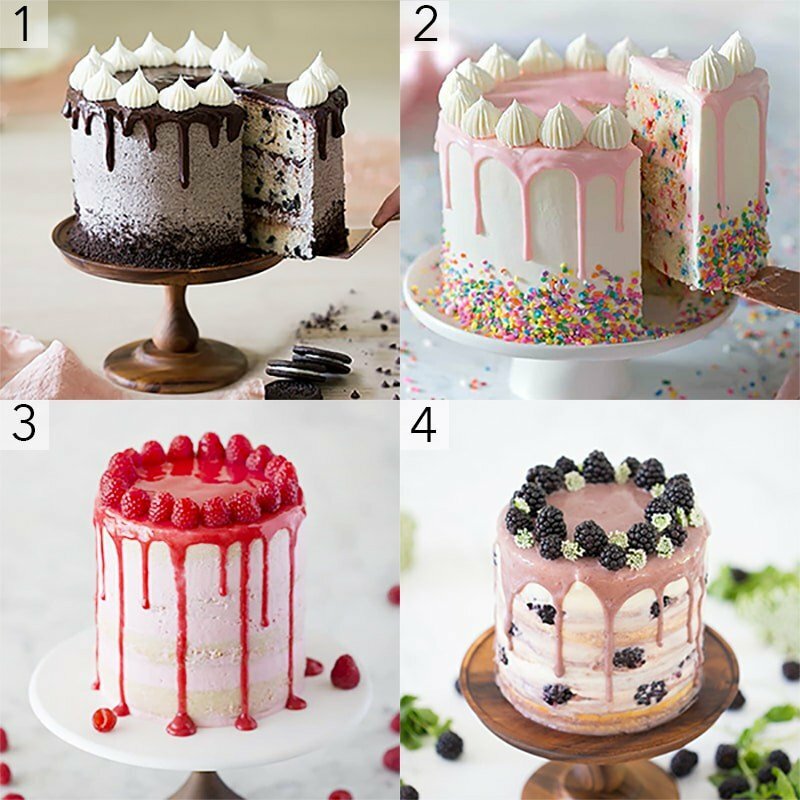 I’ve compiled all cake decorating the tips and tricks I could think of into this post to give you a leg up on your next project. I’m sure there’s more than one think I’ve neglected to address so please make sure to leave a comment if I’ve missed a topic you want to know more about! If you’re building the cake and things are get wobbly it’s time to chill the cake and let things set up. 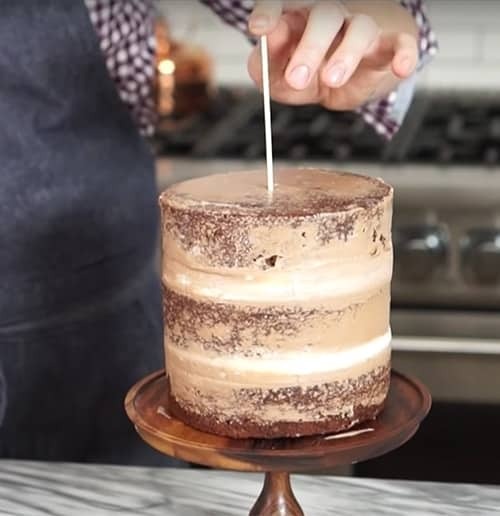 If it’s REALLY unstable, which can happen when there are fillings like lemon curd between the layers then add a skewer down the center and chill it. This happens when your cake is so tender, moist and fresh that it has trouble supporting the layers above. To save the cake from basically exploding underneath here’s what you do: Get some thick paper or a few sheets of newspaper and make a collar or “corset” for the cake. Tighten the paper so that the bottom layer is no longer bulging then tape it together and chill until set. Afterwards to can remove the paper and continue decorating. Frosting Has Bubbles: Before you pipe buttercream onto a cake try giving is a final whip JUST before you use it. Buttercream looses it’s beautiful consistency pretty quickly, especially if it’s meringue-based like Swiss and Italian frostings. 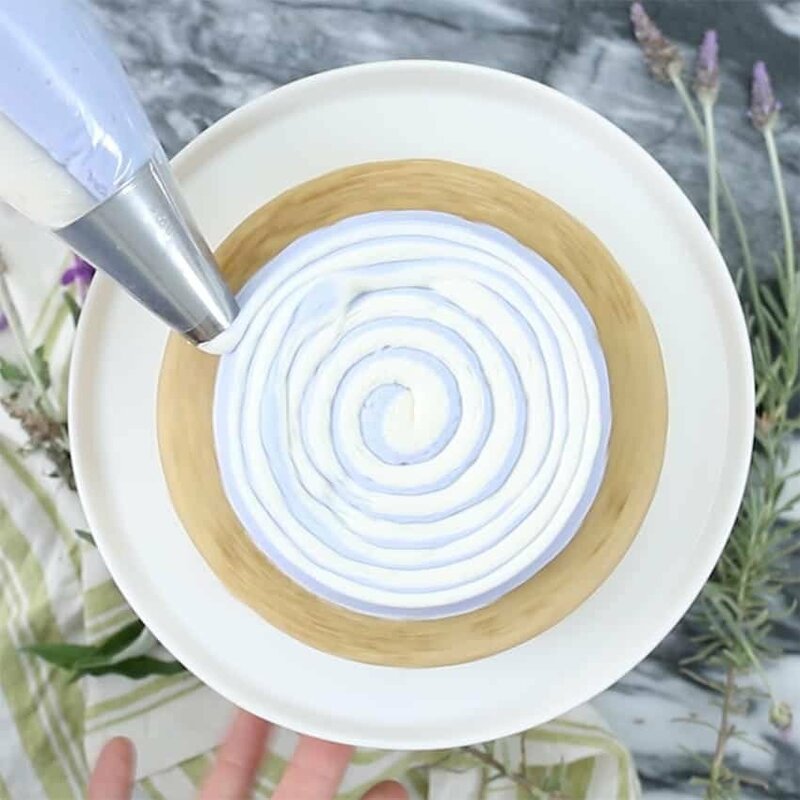 Buttercream Starts Looking Ragged: When you’re doing the final smoothing and you notice the texture of the buttercream become a bit ragged there’s an easy fix! Get a bowl of HOT water and dip your tools in to to warm them up. pat dry and smooth. The warm metal will melt the buttercream and give you a nice SMOOTH finish. It Was ALMOST Perfect: If things are starting to go left STOP! Take a step back and ask yourself will anyone notice a slight imperfection? Am I about to start overworking this? It’s probably fine as is! Check the above video out for all of the cake decorating tips and tricks I could think of! Starting off with a good foundation is really important so I always use cake strips to get a nice flat layers, which are easier to stack and more tender as well! Click over here for my Blog post all about cake strips, how they work and how to make them! 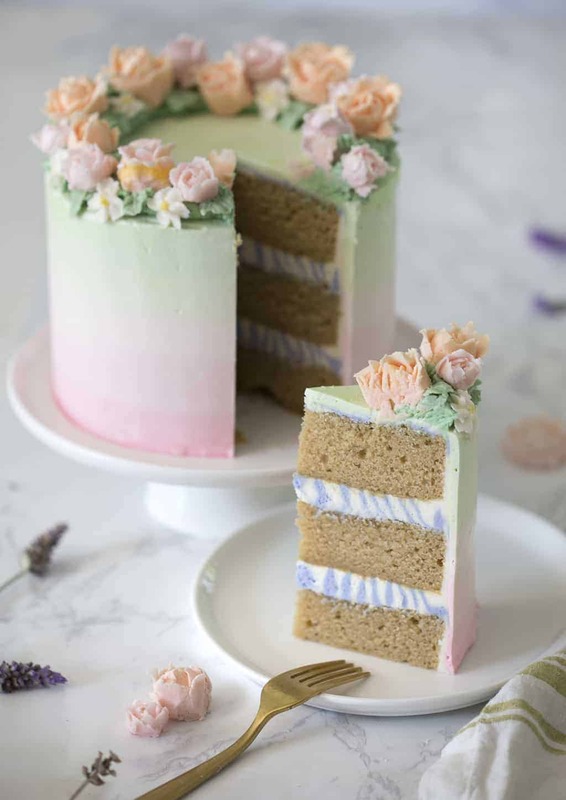 I love for my cakes to have a bit of a surprise when you cut into them so I’ll often pipe a two tone interior, a fruit filling or even sprinkle a crumble in between each layer. To pipe a two tone interior fill one piping bag with a buttercream to about one third full. Repeat the process with a second buttercream. Snip the tip off of each bag then place them both in a third bag either fitted with a large round tip or with the tip snipped off too. 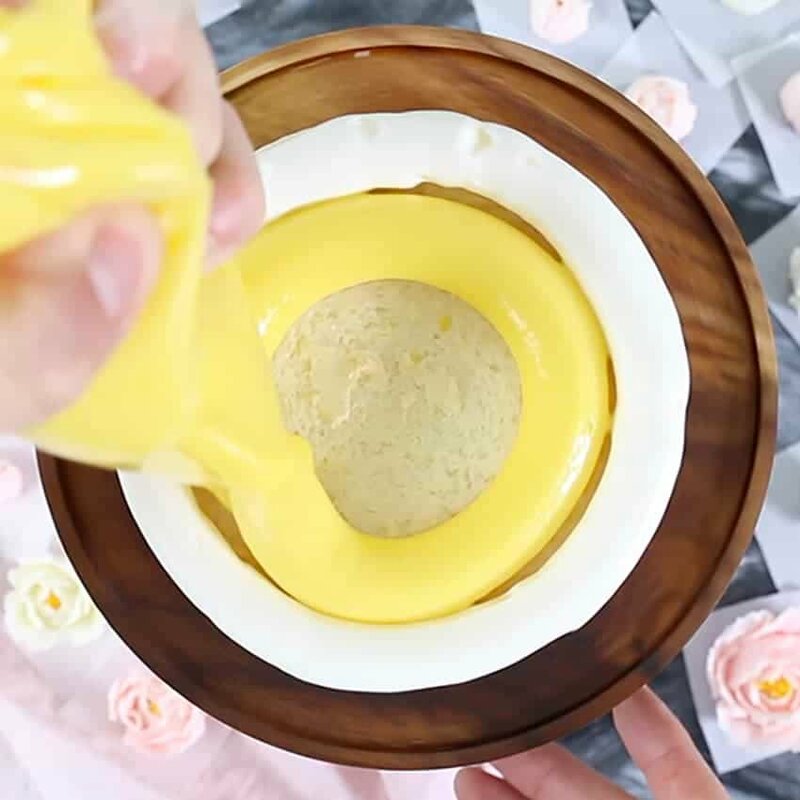 If you’re going to fill the cake with lemon curd, or something gooey then make sure to pipe a thick ring of buttercream to contain it. You will definitely need to chill the cake and if it’s feeling soft then chill it after the second layer is on before adding the third. What’s the Deal With Crumb Coats? 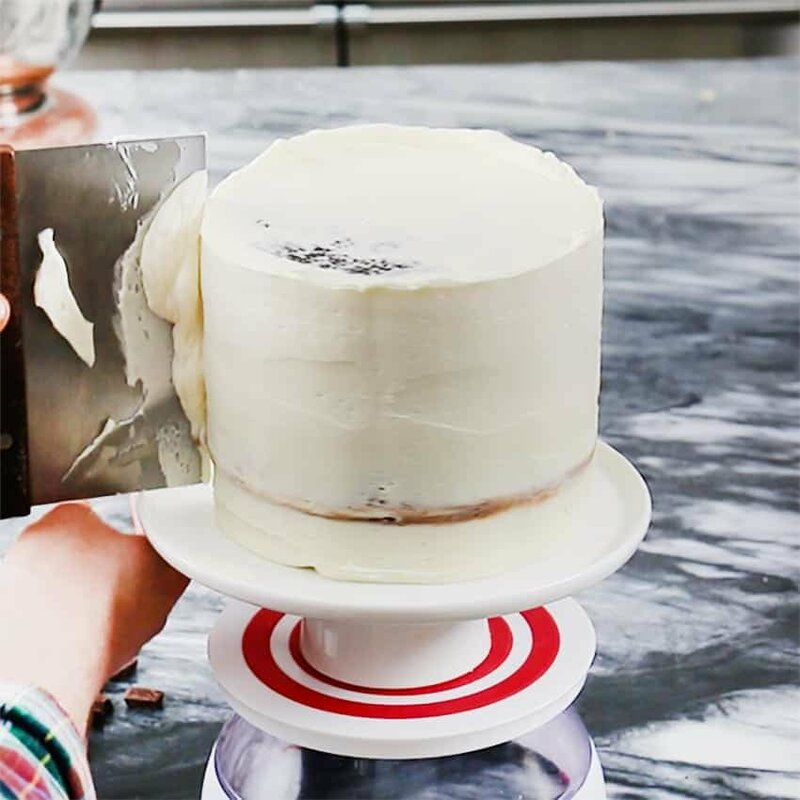 Crumb-coating a cake is not always necessary, but it makes decorating a cake so much less stressful and just way easier! 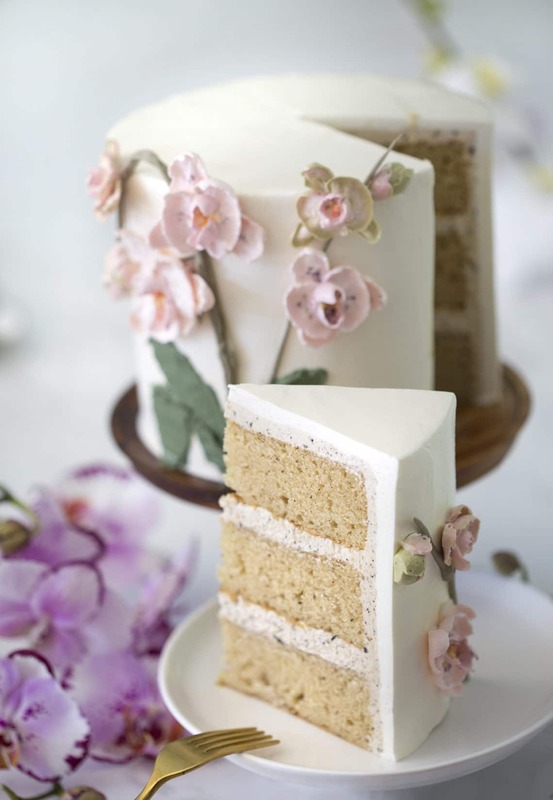 A crumb coat is really just a very thin layer of buttercream that you add to the exterior of the cake. Give it a smooth, doesn’t have to be perfect, and chill it in the fridge for 20 minutes or so until it’s firmed up. Once the crumb-coated cake is chilled you can apply your final layer of buttercream and smooth it out. The world is your oyster at this point! 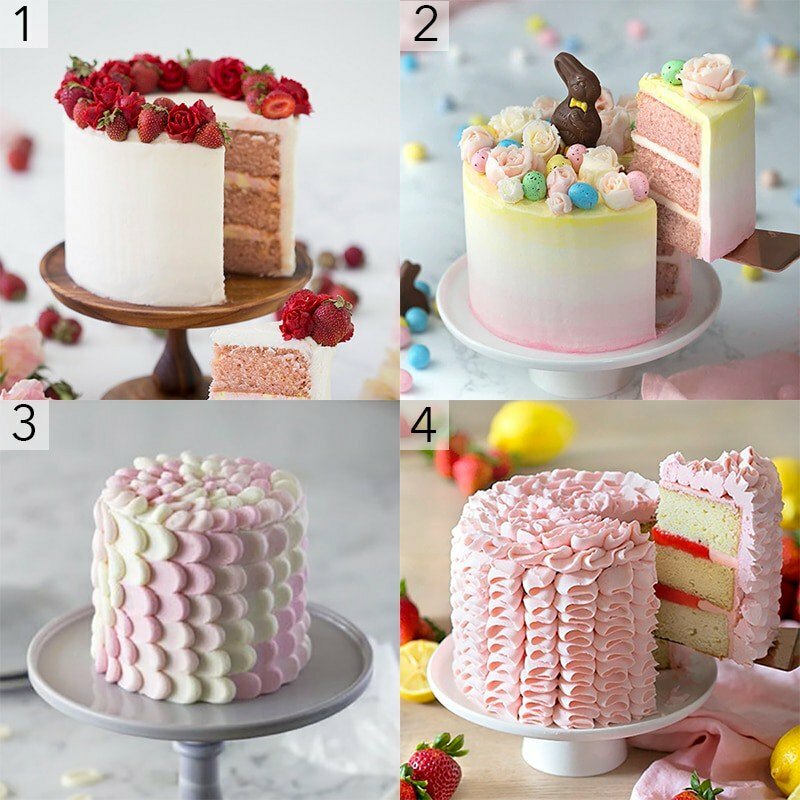 You can add a single color of buttercream and smooth it out, do an ombré, stripes, a petal design, ruffles Whatever you like! A smooth cake often calls for more elements to make if feel finished. This is where you can add a drip of ganache, candy melt, fruit reduction, or even a thinned out curd. A skirt of some element taken from the cake. My pumpkin pie cake for example has a toasted graham cracker crumble on the bottom, while my Ultimate Chocolate Cake has cacao nibs (or pure chocolate pieces) on the skirt. And any funfetti cake basically needs a skirt of sprinkles! A crown of buttercream dollops! I LOVE buttercream flowers and they’re so much easier than you think! Watch the video above for my full how to! American buttercream is the easiest frosting to whip up that’s also strong enough to build a cake with. Generally it’s one part room temperature unsalted butter, two parts confectioners’ sugar, a pink of salt and whichever flavoring you like, vanilla and chocolate being popular options. Cons of this frosting are it’s pretty sweet and the texture isn’t as silky smooth as the meringue-based frostings. 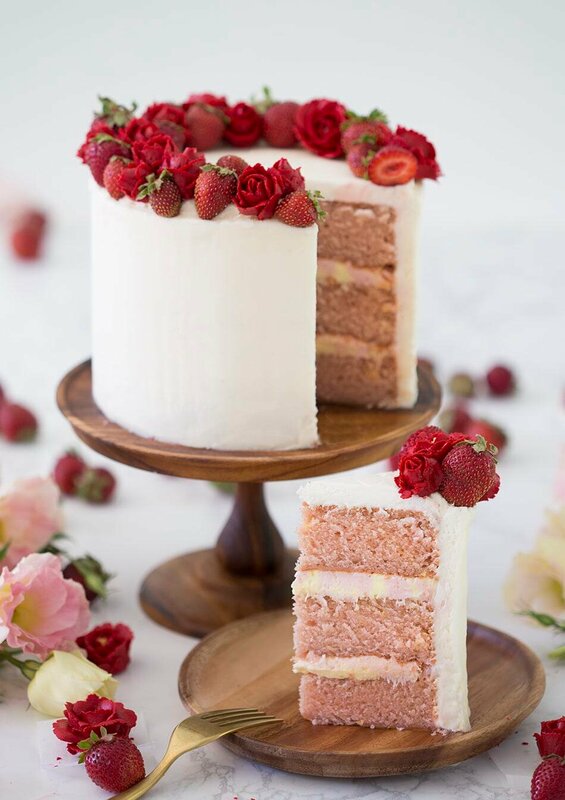 My Strawberry Rose Cake uses all American Buttercream! Italian meringue buttercream is a favorite of mine. 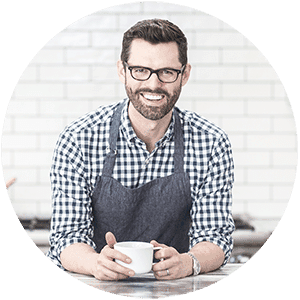 Click here to learn how to whip a batch up. It’s super-smooth, not too sweet and perfect for decorating a cake as you can get a perfect smooth finish with it. The downside is it’s a bit soft so building a cake with it can be challenging, especially in warm weather. Swiss meringue buttercream is in my opinion very similar to it’s Italian cousin but when you make it you warm the egg whites on a bain marie instead of adding 240F sugar like you would for the IMBC. My Lemon Elderflower Cake has Swiss meringue buttercream with American buttercream used for the flowers. 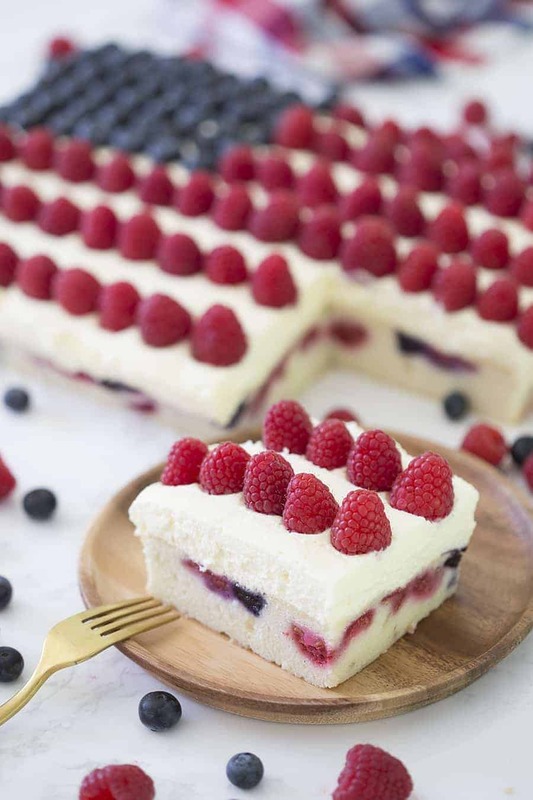 My Berry Sheet Cake has a dreamy mascarpone whipped cream frosting on top. For Easter I made your Robin’s Egg Blue cake with the coconut nest decoration. 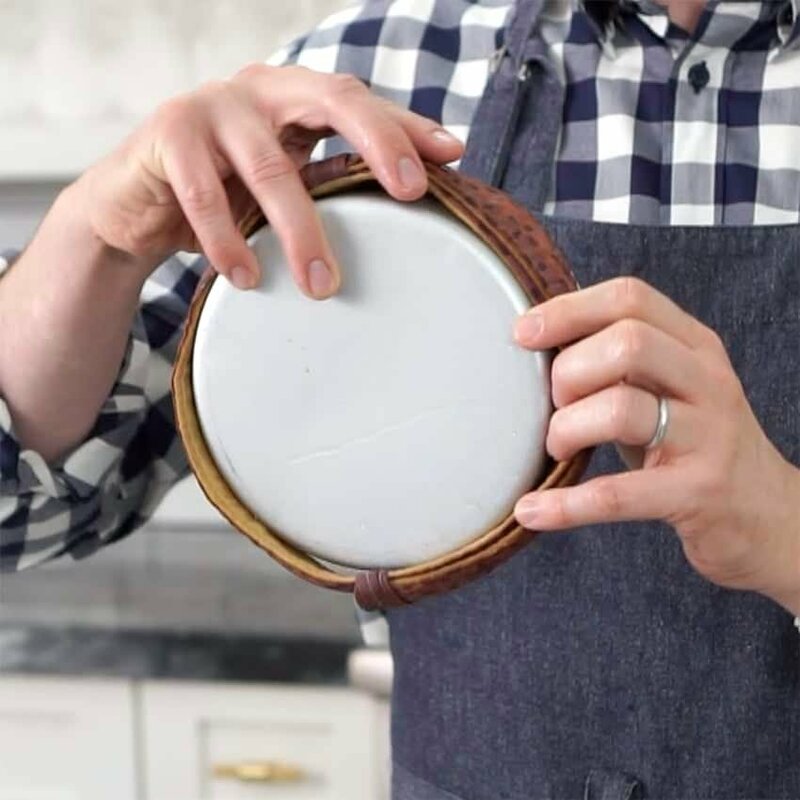 I followed your tip to put wet strips of fabric around the side of the cake pans by adapting a discarded fabric belt to an old jacket to fit the task. I was amazed how wonderfully that worked! The cake was moist throughout and didn’t get brown and dry around the edges. I felt like such a professional! The cake was delicious, too. I made it another time since then. I was also glad you mentioned that if there are little clumps of butter in the batter not to be concerned. It made me very nervous, but I decided to trust you and you were exactly right. It didn’t matter an iota; the cake had a perfect texture. Thank you for the wonderful recipe and great tips. You are a very good teacher. I look forward to making more of your recipes in the future. I’m so happy you liked the cake! It’s one of my favorite easter treats. Also a great basic cake to repeat with multiple decorations! Love your videos. You do an amazing job! I have a question. When I visited our local bakery when I was a youngster, I loved to watch the decorators make beautiful red roses. I have tried invain to get a real deep red color to my buttercream roses. When I can, and the color is achieved, the roses are bitter. Too bitter to eat. I’ve use paste as well as jell color products. Do you mix colors to get the deep red? 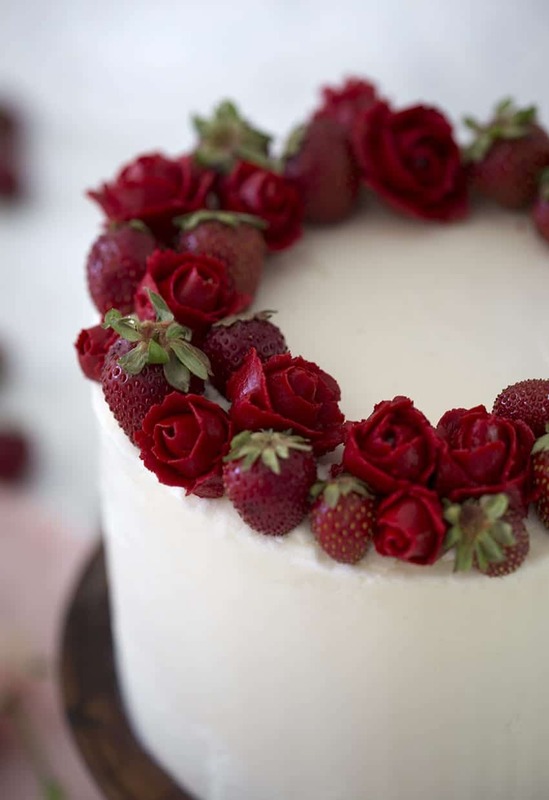 To get deep red like the roses on my strawberry cake, I used wilton gel crimson, wilton gel red and powder red food coloring. The roses tasted great! You’re amazing! 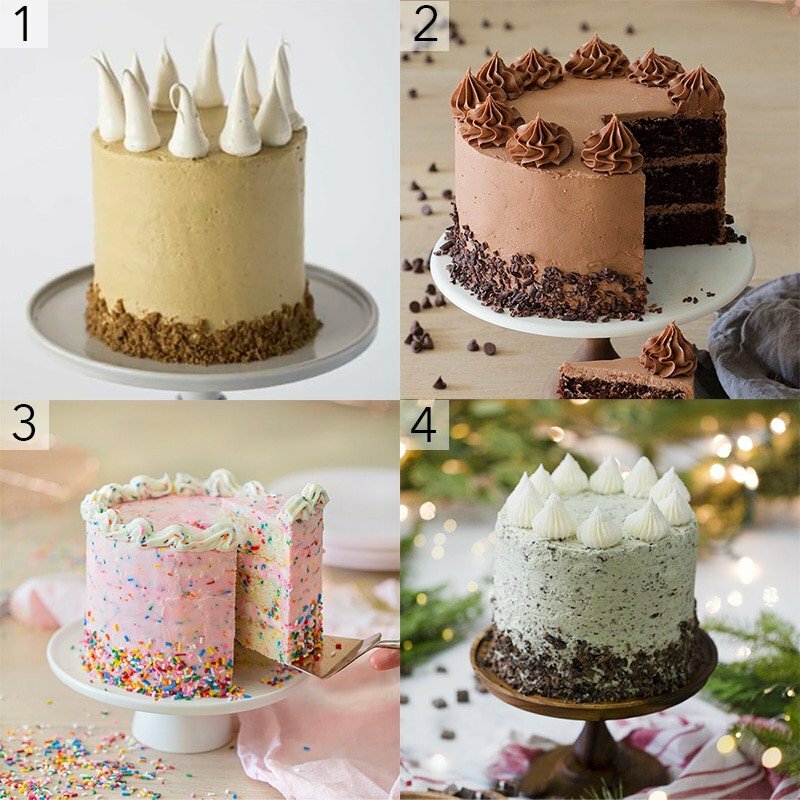 Did you take cake decorating classes or did you learn it all on your own? Thank you so much! I learned from the internet and taught myself! My mom was helpful too!! I can’t thank you enough for your detailed instruction & videos. So many bakers don’t want their secrets known! I like how you tell the positives & negatives of your techniques & recipes (buttercreams) & stress ways to “cover up” little imperfections! Your cakes are beautiful & delicious (I made 2 different for a 3 year old & for a 70 year old perfectionist)! You’re also correct in the the older person loved loved that I put the time & effort in even tho it came out totally different than the delicate lavender cake I tried to make. In the end I used a “grass” tip to speed things up & try to cover imperfections—she was most impressed. Also thank you for noting the tip #’s and techniques on filling the piping bags—-so helpful! One question—how far ahead can you make buttercream flowers? Would they store in the freezer? Thank you! I’m glad you liked the post! You can make your flowers a few days (2-4) ahead of time before incorporating them into a design scheme! Thank you very much for all of the sweet words. I’m so glad i’ve given you the “baking bug!” The funfetti cake is a great idea! I’m happy I can help give you that extra bit of encouragement! I hope you and your family enjoys the cake! 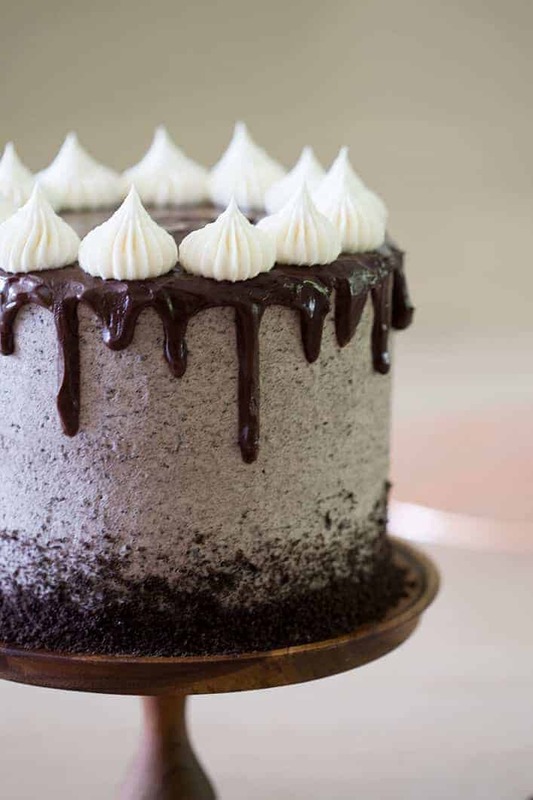 I have a recipe for a BLACK and white cake! Beautiful Cake Designs, this is considered as the best dessert during any happy occasion. I just loved it the way to decorate a cake. Great idea.